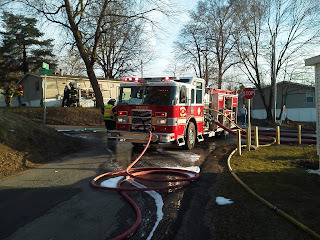 On April 4th at 6:13PM Penfield volunteer firefighters received multiple calls for the report of a mobile home that exploded and was on fire located on Clove Dr. As apparatus responded it was evident that there was a fire due to the large column of smoke coming over the horizon. 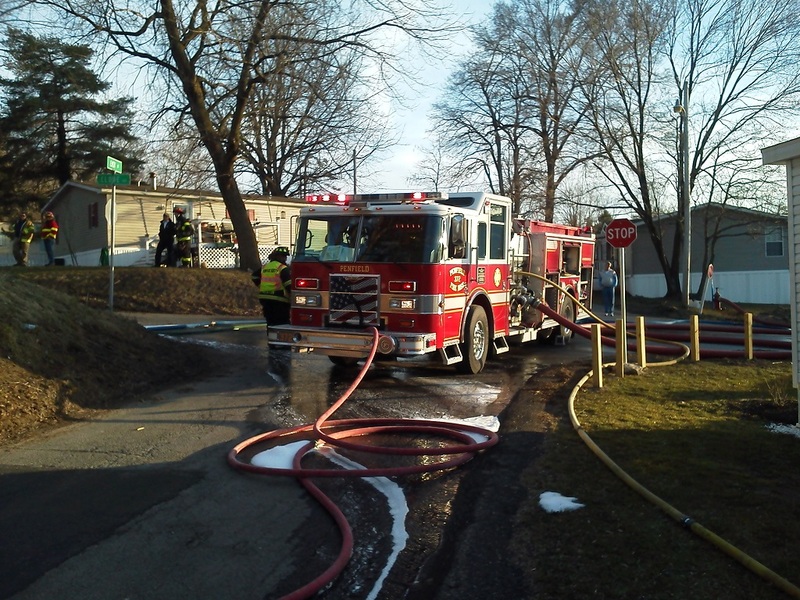 The first arriving apparatus was met on Easy St by the Monroe County Police who at the time were attempting to secure the scene to ensure the safety of the fire and ems personnel. The first arriving apparatus hooked up to the hydrant right at the corner of Easy and Clove and began deploying lines to all sides of the home. Every pre-connected attack line was immediately placed into use and began attacking the fire from all sides. In the rear of the mobile home a large brush fire had started and was beginning to head towards Sebastion Dr. while on the other side the heat from the fire began to affect the neighbor's home. Firefighters went to work throwing water on the neighbor's home to keep that from catching fire while another team dealt with the brush fire. 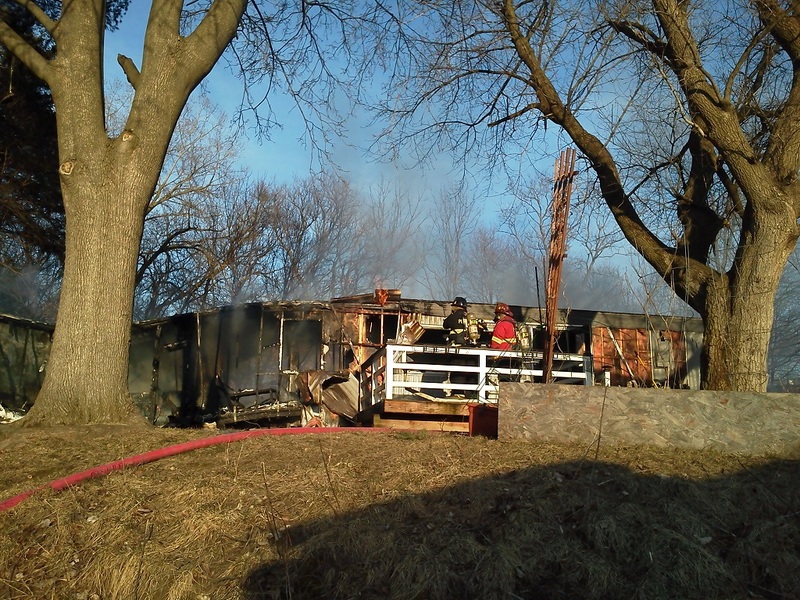 Crews that were attacking the mobile home that was on fire were unable to enter do the deteriorating conditions and were forced to battle the fire from the outside in a defensive position. 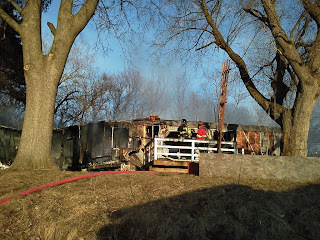 Firefighters were able to knock down the bulk of the fire in about 25 minutes. The home was a total loss and there was exterior damage done to the neighbor's vinyl siding and car. 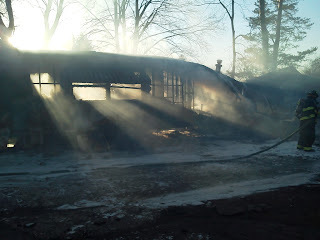 Firefighters were out for about two and half hours with the fire and another hour cleaning up at the station. 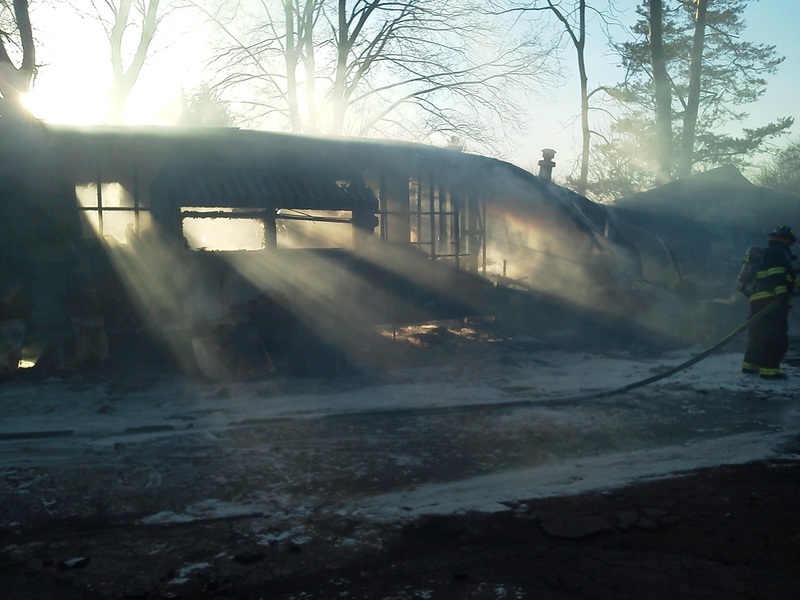 The cause of the fire is still under investigation. There were no firefighter injuries and from what other media sources were saying the home owner at the time of the fire was out walking his dog.